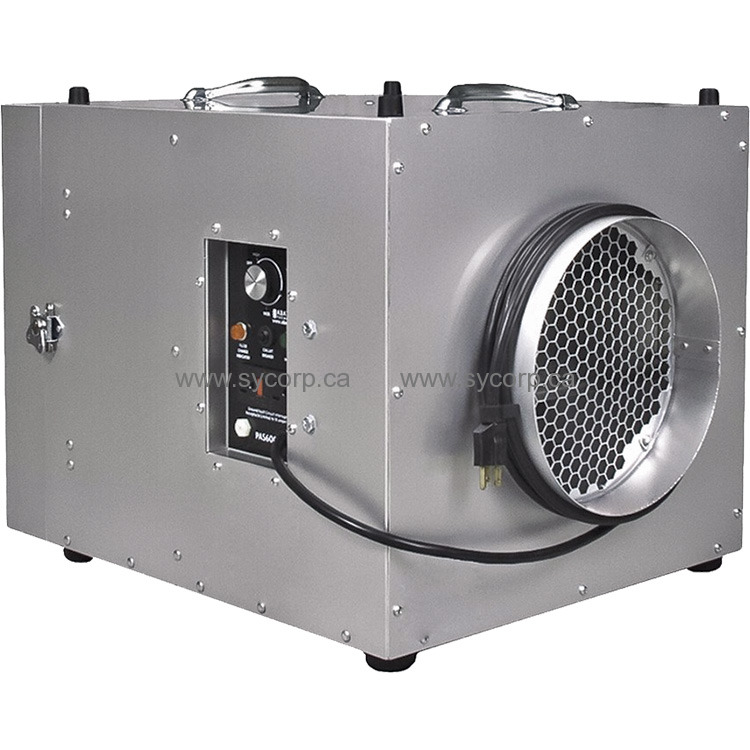 Redesigned 600 CFM Portable Air Scrubber is Lighter and Smaller! The new 33.5-pound HEPA-AIRE PAS600 Portable Air Scrubber from Abatement Technologies® is now the most compact and lightweight metal air scrubber available thanks to its new design and durable anodized aluminum cabinet. 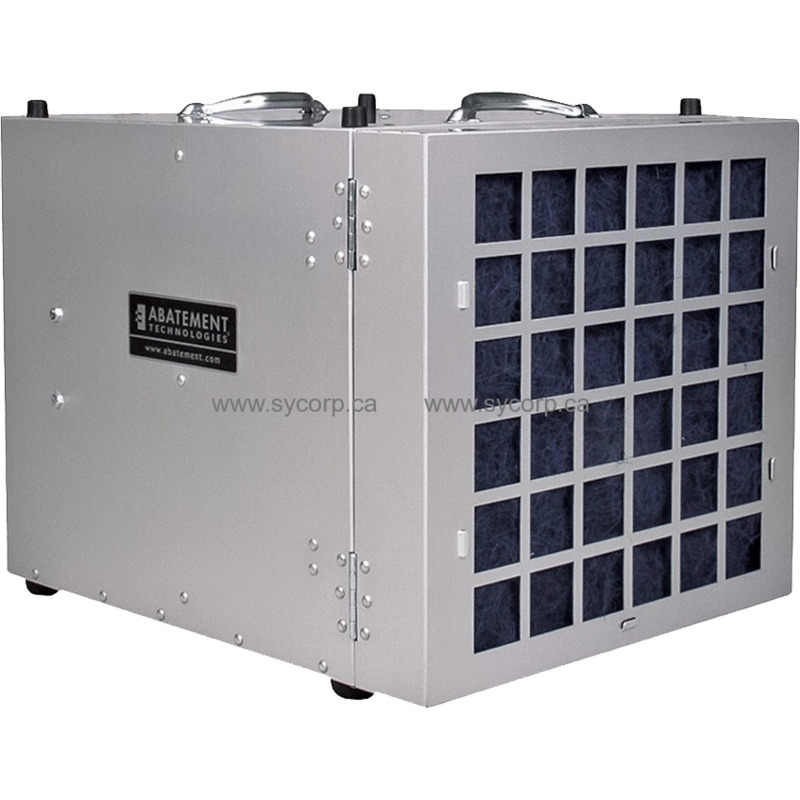 The variable speed PAS600 produces peak airflow of over 600 cfm. And with a peak amperage draw of only 2.0 amps or less, up to 5 units can be safely daisy-chained on one 15 amp circuit via the built-in GFCI-protected receptacles.